Do you have issues with your mail at your house? I know I do. I’ve purchased a couple of different sorter kinds of things over the years in an effort to try and organize and contain the mail but they never work. Mail and paper in general has to be one of the worst things I have to manage. I just can’t seem to find a way that works for me. It seems to pile up all over the house. Of course, it doesn’t help that I have mail for 5 different people coming into the house and no one – except me – seems to take care of their papers. And with all of us having ADHD, we each have the tendency to leave things out so we won’t forget. I went out and bought folders for each member of the family so that they would have a place for their paperwork. Did I put it in the folder for them? Yes. Until it got so big it wasn’t worth it anymore. I’m not sure that I can give you a solution for other people’s mail, but I can at least help you in dealing with the general household stuff. Get rid of the junk. Tuesdays and Wednesdays are the worst at our house. It’s barely worth it to make the trip to the mailbox except that the dog loves to go (and expects a treat for it) and you get a few extra steps on your Fitbit. 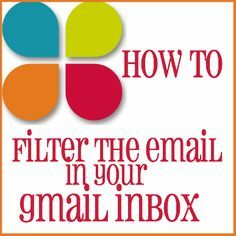 Start here to eliminate junk mail. I love it when we get junk mail on Mondays cause that’s garbage day. The mail goes from the mailbox right across the driveway to the trash can. Doesn’t matter if it’s been picked up or not; it never gets into the house. We get bottled water delivered to our house because our tap water is yucky. Lately they have added fliers and basically junk mail to their bill. I send it back to them when I pay my bill. Passive aggressive? Maybe. Don’t care. Whenever we get a bill in the mail, I write the amount and due date in my planner in green ink and then throw the bill away. The less paper I have to deal with, the better. Any sort of packages we get in the mail are opened and dealt with immediately. No worries on that part. Once in a while, we get things that need a response. I try and deal with those as soon as possible or at least put them in my planner so that they are at least on my radar. Right now, as I’ve said, the biggest issues for me are other people’s mail and the daily paper. You’re probably too young to remember, but when computers started being a real thing that the average person might have, there was all this talk about turning into a paperless society.